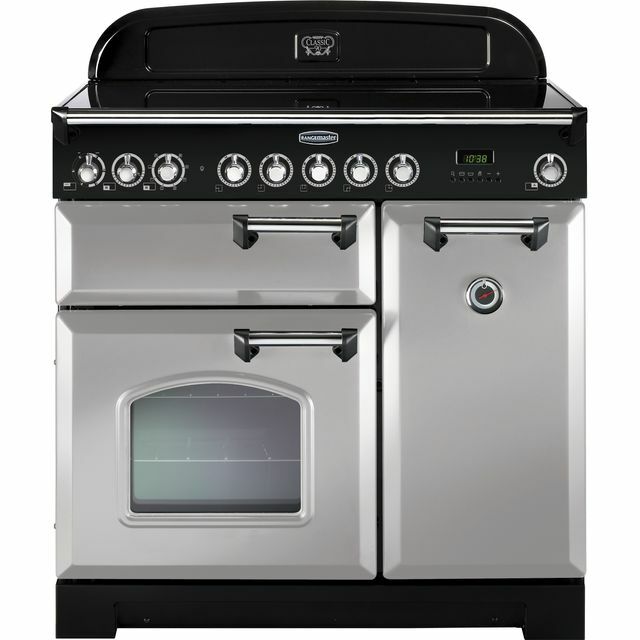 Get your new range cooker fitted the same day it’s delivered. 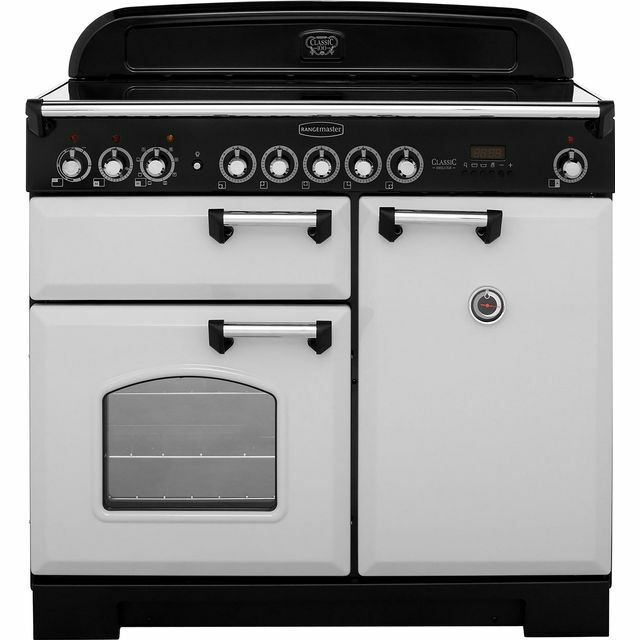 This impressive appliance will need more power than your standard cooker, so it’s worth checking that your kitchen is set up with the right amp rating. You can find out how to do this here. 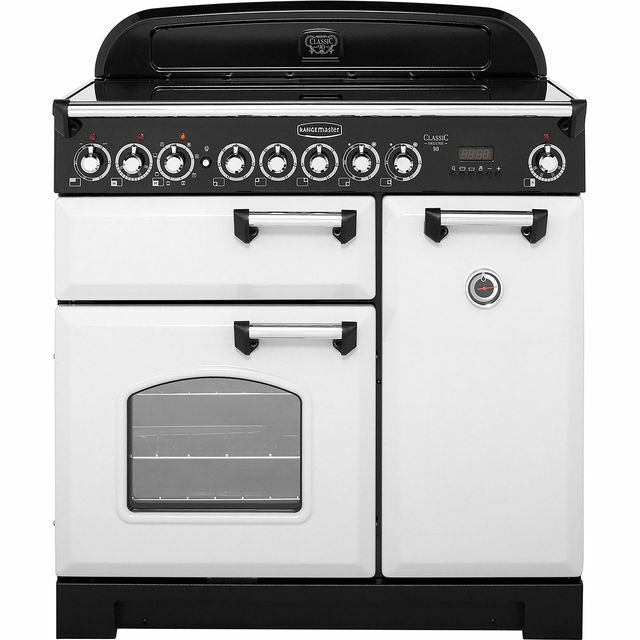 Enjoy versatility and style with this fantastic electric range cooker from Rangemaster in royal pearl. It has 3 cavities to choose from including 2 ovens and a grill, so you’ll have no problem preparing delicious meals for your guests. The main multifunctional oven offers many different ways to get creative, whether you’re preparing a classic casserole using the bottom heating element, or a mouth-watering BLT with the grill setting. The second fan oven circulates heat so food cooks evenly on every shelf – giving you extra room to make multiple dishes at once. This model’s 5 zone ceramic hob provides ample space to boil, simmer and fry, and it’s really easy to keep clean as well.